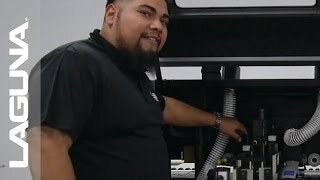 Making Walnut Speakers on a CNC Router Check out how we used a CNC router to craft a unique set of speakers for our Director of Sales here at Laguna Tools! 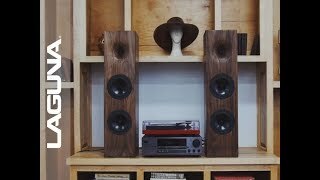 The list of materials and tools we used for this CNC cut can be found here (https://lagunatools.com/cnc-projects/cnc-cutting-walnut-speakers/) along with the file we used for the speakers! 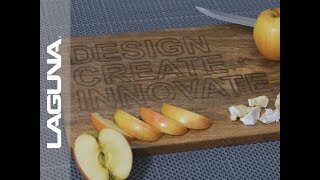 In this Quick Cuts we used the Laguna EC Laser CNC to engrave a plain cutting board into something a little more sleek! 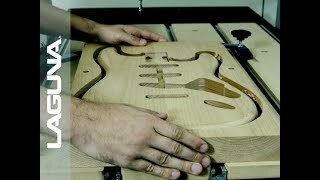 We have created a new custom guitar file for your cnc machine to cut out! 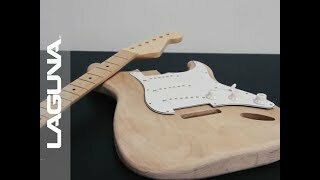 The full video will include instructions and the cut file to do it yourself! 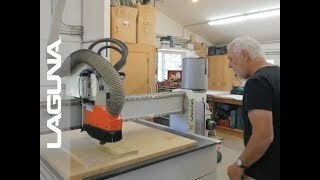 Join us in revisiting Greg Watson and learn about how a SmartShop® II CNC Router helped to shape and improve his business in the long run! CNC Cutting an Arcade Cabinet Travel back to the golden age with modern CNC technology! 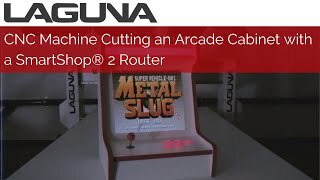 Visit our website: https://lagunatools.com/cnc-cutting-an-arcade-cabinet/ to get the file for this cnc project and find instructions on how to make your own arcade cabinet. 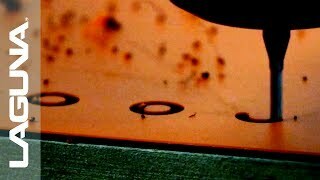 Check out this quick cut of our SmartShop II CNC Router preparing a sheet of ID tags for a punch press! The material we cut was a larger sheet of polyethylene. Please note: the dust hood was not attached in order to capture clear footage of the cut. 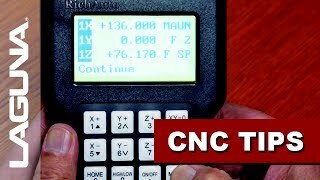 Join us in learning about our Handheld CNC Controller and how to navigate its many settings. Most importantly, how to control the jog speed for your CNC cuts! We visited one of our customers at ZH Productions and Black Rock Construction. 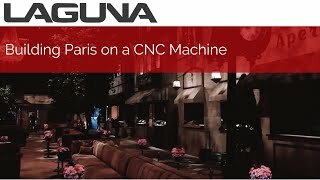 ZH Productions used the Laguna SmartShop® II CNC to create a realistic Paris street scene for People Magazine that spanned 15,000 square feet. 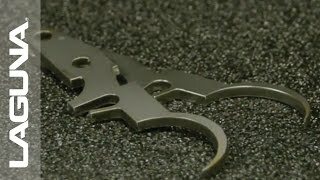 Laser Cutting a Custom RC Car Part - Quick Cuts Free CNC Info Packet at http://bit.ly/2mWwi3m - The Quick Cuts team laser cuts a custom mount to hold an employee's ESC for his RC Car! The material we cut was a composite plastic outlet cover on the SmartShop EC Laser Cutting Machine. 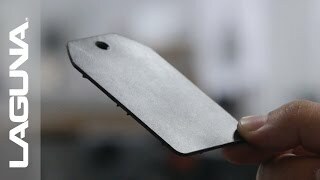 No sanding required after the CO2 laser left perfectly finished sides. CNC Machine - Laguna SmartShop® II Etching on Steel Plate CNC Machine - Laguna SmartShop® II Etching on Steel Plate. Join us in visiting Winterwood Cabinetry's facility in Sumner, Washington for a look at how the business has grown. One of the founders of the company, John Wakefield, tells about the origin of Winterwood and how it flourished after implementing CNC machinery with the help of Laguna Tools.